Liverpool have numerous points during the past couple of weeks which means Man City are now back on level terms with Jurgen Klopp’s men. At one point, the Reds had the chance to go seven points clear at the top of the table but now it is City who are on top having played one extra match. And these coming few weeks, it will be an even sterner test for Liverpool given that they face the likes of Man United and Everton in the Premier League. Even one lapse of concentration could be fatal for the Anfield outfit and Alisson Becker feels that his team cannot afford to lose more points if they wish to become the Premier League champions. “In a moment like this, calmness is very important,” said the Brazil goalkeeper. “Concentration, too – to be aware that one error could be fatal. “A defeat could define the entire season. Every game is important; things change to so quickly, especially in the Premier League which has such a high level of quality. Alisson has also talked about keeping focus on the pitch and not to be swayed about by what is happening in the stands. “Fans have a lot of emotion, but we can’t just go on emotion,” Alisson told ESPN Brasil. “It’s important to have emotion but we can’t let it take over on the pitch. 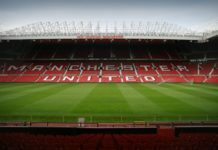 Next up Liverpool will welcome Bayern Munich in the Champions League Round of 16 and just five days later they travel to Old Trafford in order to take on Manchester United. Read: Mauricio Pochettino takes a sly dig at Liverpool while ranting about the referee. 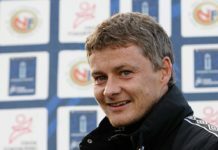 Previous article‘This’ is the only player who has failed to improve under Ole Gunnar Solskjaer at Man United: Agree? Next articleThe Man City vs Chelsea game had an unexpected onlooker inside the Etihad: Who was it?